It’s HOT in the jungle… The last time Luca Fonseca saw Serena DePiero he ended up in a jail cell. The Brazilian billionaire has since clawed back his reputation, but he’s never forgotten her. So when Luca discovers Serena’s working for hischarity his anger is reignited! Serena has changed. Finally in control of her life, she refuses to let Luca intimidate her. She’ll deal with whatever her new boss throws at her—from a rainforest trek to the social jungle of Rio! But she can’t handle the passion that flares hotter than Luca’s fury. Especially when it threatens to consume them both! Abby Green’s BILLIONAIRE BROTHERS duet Book 1: Fonseca’s Fury Book 2: The Bride Fonseca Needs One raised in luxury in Brazil, the other on the streets of Italy… Two women will bring these brothers together—but is it enough to restore their brotherly bond? 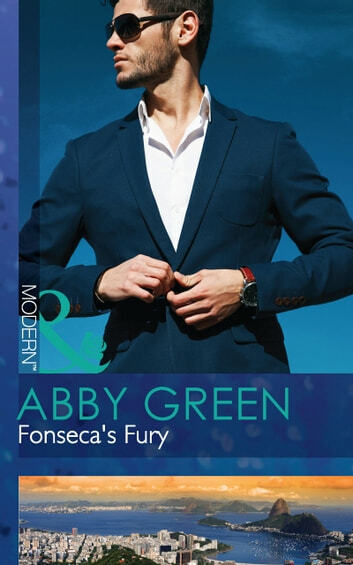 Praise for Abby Green Fonseca’s Fury 4.5* RT Book ReviewGreen’s emotional tale is a tearjerker. Her former wild-child heroine and charismatic, disdainful hero skate the fine line between love and hate perfectly. The trek through the Brazilian Amazon rainforest and the treatment of the social/ecological issues impresses. Rival’s Challenge 4.5* TOP PICK RT Book ReviewGreen’s lust-at-first-sight to love story is sensational. Her charming, broken hero and determined heroine rule every page with their palpable sexual tension, lively repartee and viscerally carnal love scenes.